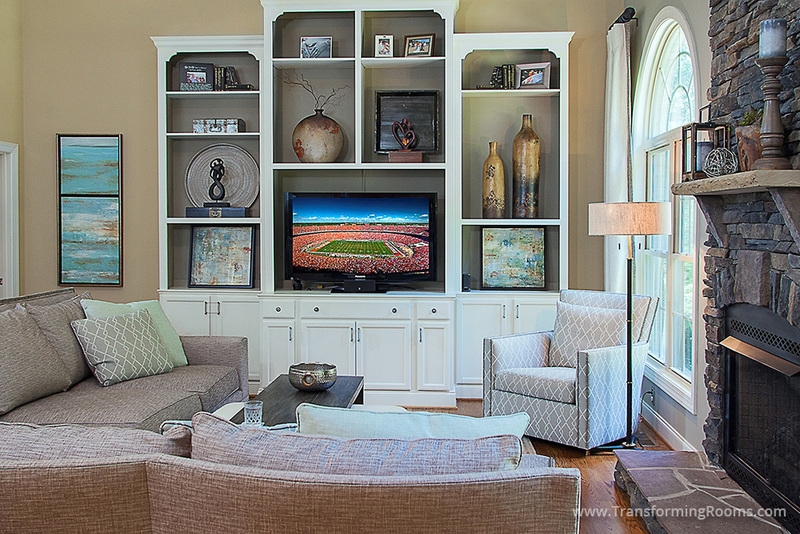 Accessories for built in cabinets can really change the feel of a room. 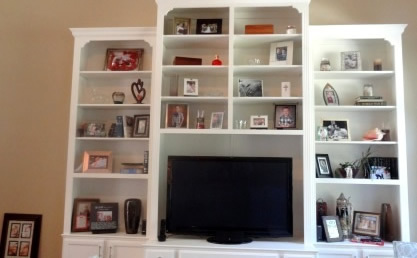 For your bookcase or wall unit, we have access to unique finds, that make the room feel interesting, updated, and not cluttered. Notice the the accessories are large in scale, as we have access to accessories from 'To the Trade' sources.